Made with a recycled paper barrel these pens are an effective promotional product and great for the planet. These environmentally friendly pens are made with a recycled paper barrel - giving them a unique look and showing your clients/customers that your company is environmentally conscious. 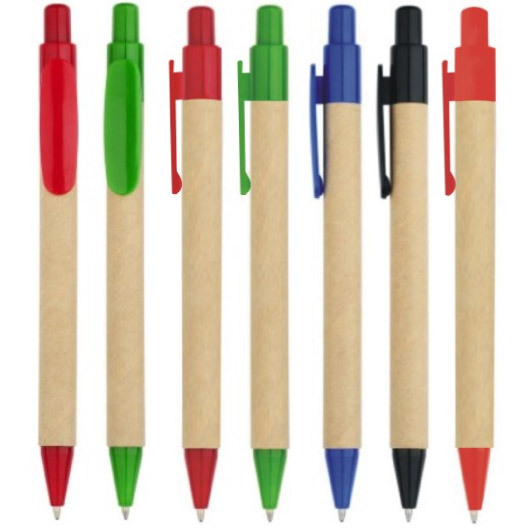 The pens come in your choice of 4 colours with push button fucntionality and a 1.0mm black ink refill. 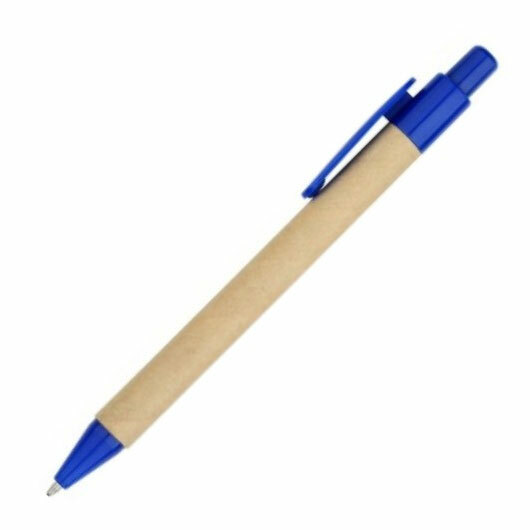 These pens are produced express, so they can be in your hands as soon as possible!